No other industry or industry group in this century has had such an enormous impact on the NSW, Australian and global economies as has the Information Industries. New South Wales is undergoing an economic revolution because of the rapid advances in the information technology and telecommunications industries. 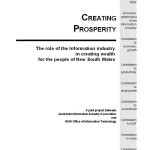 The NSW Information Industry has become the key industry for NSW and will play the major role for the people of NSW in the 21st century. 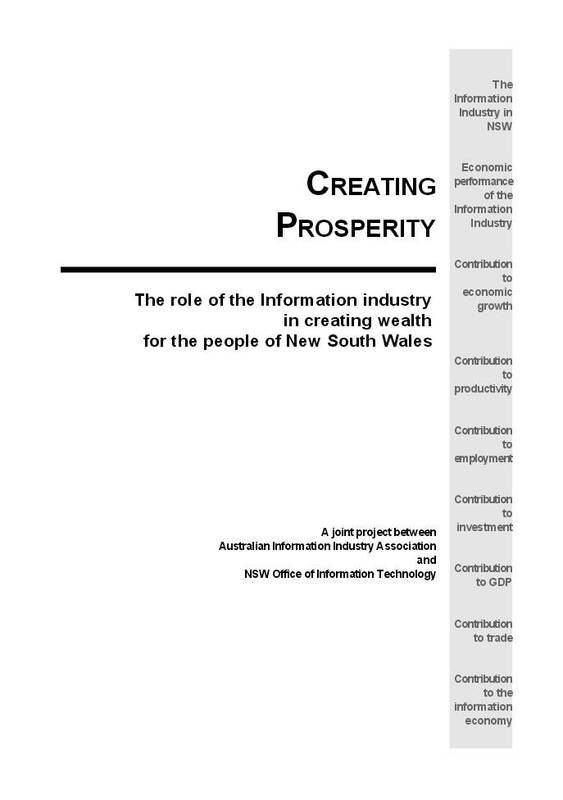 The NSW Information Industry, reflecting the convergence of computing and communications technologies and the digitalisation of content, includes the complete value chain from electronics and software to communications platforms and telecommunication services. Posted in Asia Pacific, Economy, Governance, NSW, Productivity and tagged 21st century, AIIA, Australian Economy, communications platforms, communications technologies, computing technologies, digitalisation, economic revolution, global economy, Industry, industry group, Information Industries, information technology and telecommunications industries, New South Wales, NSW, OIT, prosperity, role of ICT, telecommunication services.